Diane has been Dean and CEO of SCD since the beginning of 2008. As well as managing the Office of the Dean, she has oversight of the Korean School of Theology and the Graduate. Research School, and she has ultimate responsibility for the academic and institutional leadership of the SCD as a whole. She negotiates necessary approvals for SCD project with the Commonwealth Government agency TEQSA, represents SCD in the Higher Education sector, and strives to ensure that the Member Institutions and all who belong to SCD have the support to work together effectively to achieve the College mission. This includes providing regulatory information and strategic planning advice to the President and Council, the College Principals, and other staff. She speaks for SCD in the public arena. 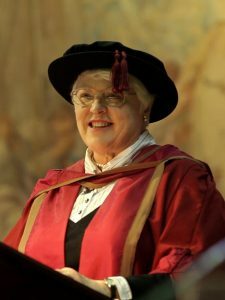 Diane’s previous working life was based in the Department of English at the University of Sydney, where she was engaged in teaching, research, and supervision, alongside administration in the Faculty, and occasional teaching and supervision for the Department of Studies in Religion. In the United Kingdom she has also been an Honorary Associate at the University of Liverpool and a Visiting Fellow at Robinson College Cambridge. Her particular expertise is in medieval thought and texts, with particular interests in biblical paraphrase and commentary, romance, hagiography, exempla, and manuscript culture, underlying all of which is an abiding concern with historical theology. Diane’s outside interests focus mainly on lay teaching and pastoring. She has preached in Anglican churches in Sydney and Presbyterian churches in Korea. She belongs to the Wellspring community and co-convenes the NSW Ecumenical Council’s Theological Reflection Commission. She enjoys time with her friends and her cat, opera, ballet, concerts, and reading. Peter has been Academic Director at SCD since March 2016. His main duties are related to leadership and quality assurance in the SCD coursework academic programs and for learning and teaching matters. He is a member of Academic Board and the Board’s Coursework Committee, and he chairs the Board’s Discipline Coordinators Committee. He has particular responsibility for checking applications to accredit teachers, overseeing the monitoring of student results, coordinating Discipline moderations, and professional development of faculty in curriculum and pedagogical matters, including online delivery. 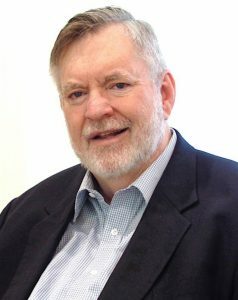 Peter is the author of numerous scholarly publications, especially related to Mark’s Gospel, mission, and Australian Anglican church history. He has been head of New Testament and Greek at Moore Theological College and has served national and international academic and church organizations in a range of roles. His ongoing research interests now centre on writing commentaries on several books of the New Testament. Peter’s personal interests include Australian history, music, exercise, humour, and enjoying the company of good friends and family. Jim joined the SCD in 2013 after fifteen years of teaching New Testament at Wesley Institute, Sydney. He was also Head of Theology at Wesley Institute, Drummoyne, for 11 years, and before that the Director of the School of Christian Studies at Robert Menzies College, North Ryde. He is a widely published New Testament scholar, authoring 3 monographs on Paul with Mohr Siebeck Press (2003 [reprint, Cascade books, 2016], 2011, 2017) and editing eight further books (Mohr Siebeck, 2008; Eerdmans, 2012; Morning Star, 2014 [reprint, Wipf and Stock, 2015]; Society of Biblical Literature, 2015, 2016; Cambridge Scholars, 2015, 2016). He has also published many articles and chapters in international journals and books. He is the editor of New Documents Illustrating the History of Early Christianity (vols. 11-15, Eerdmans) and, with L. L. Welborn (Fordham), the editor of The First Urban Churches (SBL), and is on the editorial board of the journal Pacifica and the SCD Press. His research interests include the historical Jesus, the apostle Paul, Second Temple Judaism, the Graeco-Roman world, epigraphy, papyrology, numismatics, and iconography. He is a member of the Society of New Testament Studies and an Honorary Associate of Macquarie Ancient History Department. He enjoys ancient history, live theatre, film, galleries and eating out at local restaurants. He currently attends an Anglican church with his wife, Elisabeth. Jim is responsible for the development and stimulation of a vibrant theological research culture within the SCD, with his own research contributing to the strong research outputs already being produced across the members of the consortium. Jim is also responsible for existing and new masters and doctoral research students enrolled with the SCD, helping with the progression of their studies. Kerry comes to us from the Salvation Army where she has worked for over 30 years, holding various positions in ministry and management. She has an Associate Degree in Theology from ACT and a Bachelor of Commerce and a Masters in Administrative Leadership from UNE. She has three sons and two grandsons. Kerry is responsible for strategic development in the areas of finance and business, as well as financial and risk management. She is also responsible for managing the business relationship between the SCD and the Member Institutions as well as the SCD Korean School of Theology and the SCD Graduate Research School. Sandie joined the Sydney College of Divinity in 2018 bringing experience in research, policy, advocacy, adult faith formation and management across a range of faith based organisations in Australia and the Asia Pacific region spanning thirty years. As Director, Quality & Community Engagement oversights the community engagement of the SCD and supports each Director in their portfolio to ensure quality across the academic and organisational operations of SCD in relation to Government regulation, self-review processes, project development and support, and benchmarking with the Higher Education sector. Sandie’s doctoral studies were in practical theology and her research interests include Catholic Social Teaching, Ignatian spirituality, and community engagement approaches to theological research.